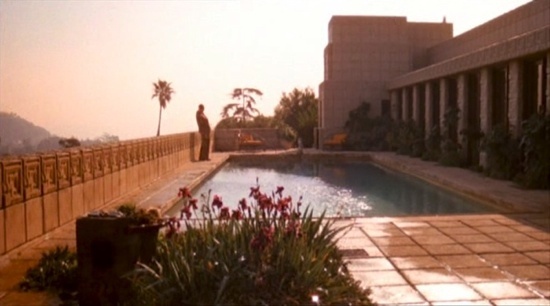 Ennis House’s most famous cameo: Blade Runner. 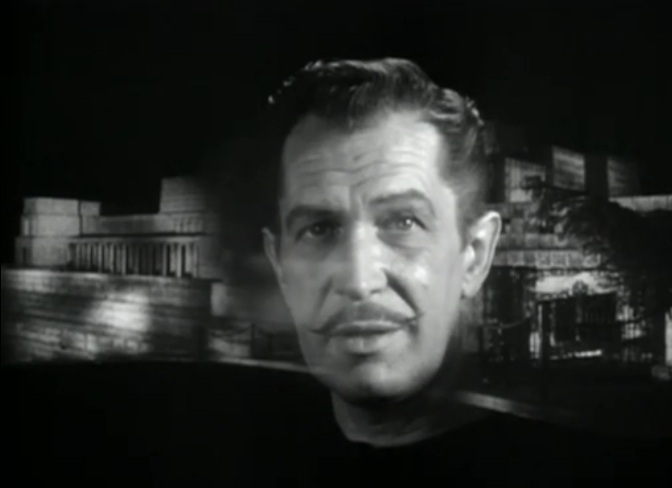 Serving as a spooky backdrop in House on Haunted Hill. 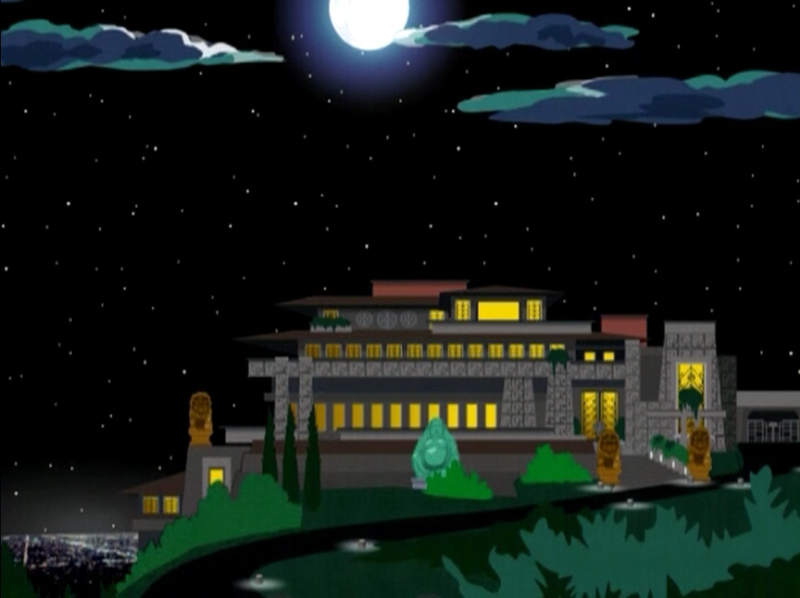 Lair of a Chinese gang in South Park episode Wing. My personal favorite appearance, serving as a movie producer’s abode in Day of the Locust. The pool was a later addition. 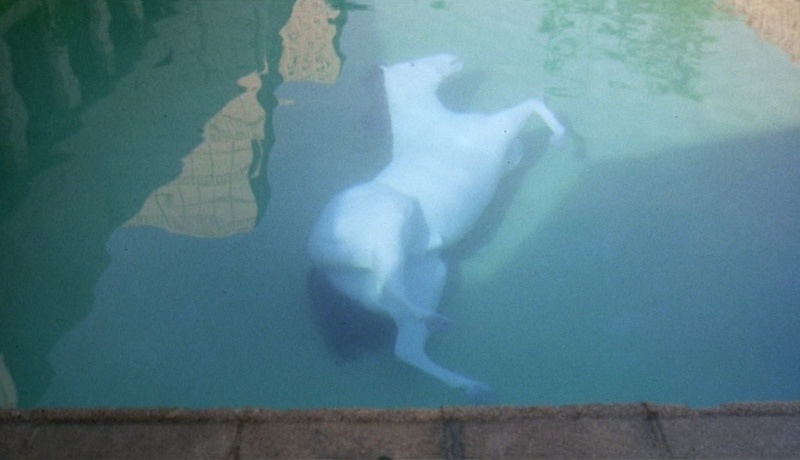 Complete with bloated, dead horse at bottom of pool. You should probably read the book. Take good care of the Ennis House Ron Burke, and please make it open to the public sometimes. I’ve still only ever seen it from the outside.